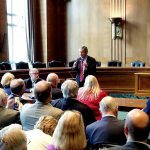 | CABR at 2018 REALTORS® Legislative Meetings in Washington DC! 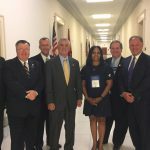 CABR at 2018 REALTORS® Legislative Meetings in Washington DC! CABR Leadership joined roughly 10,000 other REALTOR® Members in Washington D.C. last week to advocate for numerous REALTOR® Party issues. 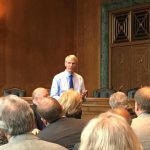 CABR’s contingent met with U.S Senators Sherrod Brown and Rob Portman and also Congressmen Steve Chabot, Brad Wenstrup and Warren Davidson. 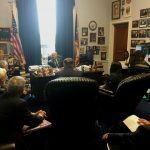 Click here to view the Talking Points that were discussed with each Member of Congress. Click here to go to REALTORS® Legislative Live which recaps events of last week. Click here to read the REALTORS® Internal News Service Special Report which covers items passed by NAR’s Board of Directors at their meeting on Saturday May 19, 2018.